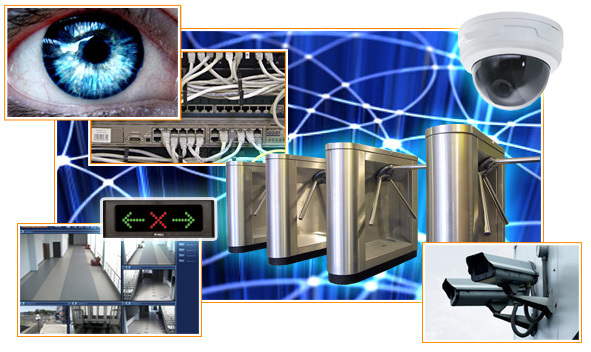 Guard system is sophisticated complex of different hardware, that is to inform about unauthorized attempts to enter, or damage of any structure of customer’s object, thus protecting investments, property, and personal safety. It contains CCTV, access control systems, motion sensors, glass break sensors, alarm systems and many other technologies. These systems informs immediately about all sort of restricted actions, unauthorized enter. So the main purpose of guard system is to provide immediate information about every actions that occurs on the territory, and alarm signals! Also we have the second category – the way of information transfer. There are two type of systems: wired and wireless. The most reliable system, is the one equipped with GSM-controller. Wireless guard system equipped with GSM-controller, can be connected to the central console of guard agency, police department, or even it can send the information to the cell phone of the owner of object, and he/she can personally decide what actions to take. It is obvious that everything works perfectly if installation and set up is made by professionals. In other words if you go to amateurs you risk to get just a waxwork instead of real system, and it will work only against only petty offenders. Also to involve qualified experts has one big advantage: the more sophisticated system, the more difficult to break it is. Flylink company is expert in complex guard systems installation, regardless of business area of customer’s company, equipment, installed by our experts will provide safety and security for business processes, and personnel as well.